We are pleased to announce the online publication of Public Reason Vol. 2, No 2. 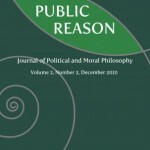 Public Reason is an open access peer-reviewed journal of political and moral philosophy, but it is also available in print. 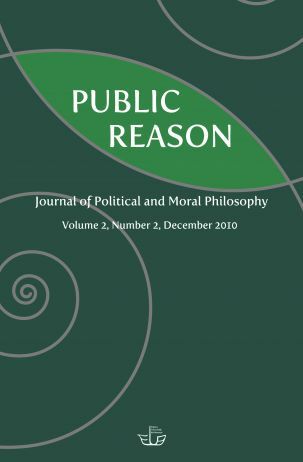 Public Reason publishes articles, book reviews, as well as discussion notes from all the fields of political philosophy and ethics, including political theory, applied ethics, and legal philosophy. The Journal encourages the debate around rationality in politics and ethics in the larger context of the discussion concerning rationality as a philosophical problem. Public Reason is committed to a pluralistic approach, promoting interdisciplinary and original perspectives as long as the ideal of critical arguing and clarity is respected. The journal is intended for the international philosophical community, as well as for a broader public interested in political and moral philosophy. It aims to promote philosophical exchanges with a special emphasis on issues in, and discussions on the Eastern European space. Starting from 2010 Public Reason publishes two issues per year, in June and December.